Here at the ranch, we strive to provide the absolute best care for our animals. 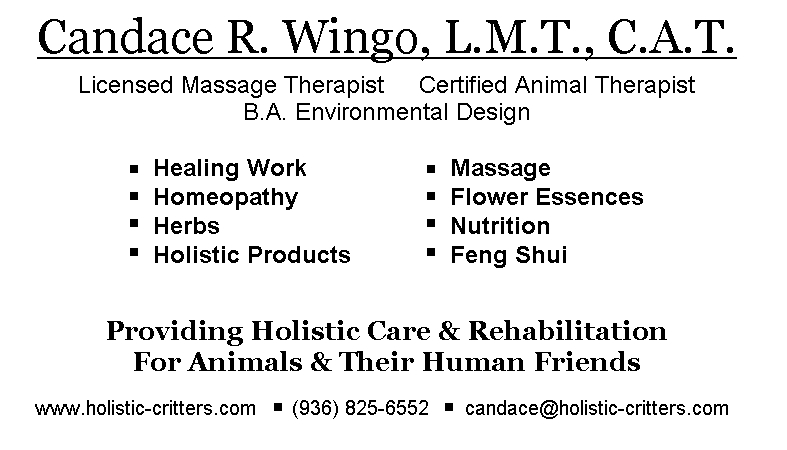 Candace is a Licensed Massage Therapist in Texas and also a Certified Animal Therapist. 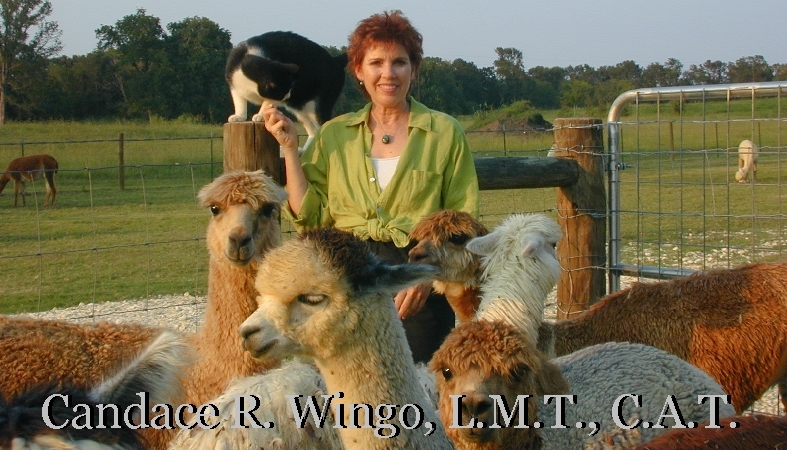 Her knowledge and contacts help us to decide on what we feel is the best course of action in the care of our animals. We feel that when medical care is needed, there is a time and place for modern western medicine and also for natural holistic care. Each has it's pros and cons and neither is the best solution for all cases. We strive to use natural care whenever possible; but will always use what is best for the animal. Perhaps she can help you too. Check out her website - www.holistic-critters.com. Given a valid diagnosis, she can recommend a holistic approach to complement the treatment recommended by your veterinarian or physician.